Steve’s 2001 solo release, CORE, is a pure flow journey of electro-organic pieces drawn from the molten core within the Timeroom. 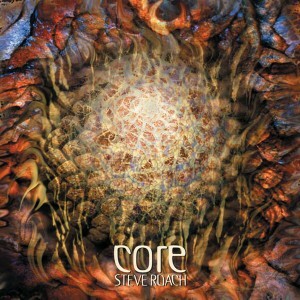 CORE evolved into one of the most focused tribal-trance-electronic releases from Steve to date. The summer of 2001 was a vital and renewing time as Roach turned away from all concerts, collaborations and other offers, directing his attention deep into the inner core of where the music emerges. Setting out with the intention to find new sounds, Roach created a dynamic convergence of energies and currents that have been running through his music over the past 20 years. Adding to the vital live feel of the pieces is Steve’s process of melting it all together, working more like a moviemaker, trying dozens of different complete edits of the “film,” shaping the story like never before.